Actor Sir Ian McKellen has finally explained the reason why he turned down the part of Dumbledore in the Harry Potter films. McKellen seemed like the perfect man to take on the role of the much-loved Dumbledore after Richard Harris sadly passed away in 2002. When McKellen turned down the opportunity to star in the popular film series, many assumed this was due to his commitments elsewhere, as he was also playing Gandalf in the Lord of the Rings movies. However, the legendary actor has now uncovered the actual reason behind his decision, and it’s not what you might expect. It turns out that Harris, who portrayed Dumbledore for the first two Harry Potter instalments, actually disapproved of McKellen as an actor. According to the actor, Harris had described McKellen, as well as fellow actors Sir Derek Jacobi and Sir Kenneth Branagh, as “technically brilliant but passionless”. Eesh. In the end, it was Sir Michael Gambon who took on the hefty role for the rest of the Harry Potter series (remember when Dumbledore suddenly picked up an Irish accent and turned a bit angry?) Meanwhile, McKellen continued to play Gandalf in both the Lord of the Rings and The Hobbit movies. McKellen currently stars as Cogsworth in the live-action adaptation of Beauty and the Beast, and he will also join Emily Blunt, Sylvester Stallone and Danny DeVito in voicing the upcoming animation Animal Crackers. Disney’s highly anticipated remake of Beauty and the Beast is finally arriving in cinemas this Friday (March 17), and fans have been given a taste of what’s to come in an all-new video clip. Ahead of the film’s release, Disney has dropped a 46 second clip from the upcoming, live-action adaptation of Beauty and the Beast. And it’s the cutest thing ever. Earlier this week, Emma Watson revealed why she rejected La La Land to play her lead role as the Disney Princess. Speaking on Lorraine, the Harry Potter actress revealed exactly why she chose not to play the female lead in Damien Chazelle’s La La Land. The star explained how she had turned down the job offer in order to fully commit to her role as Belle. Beauty and the Beast will hit theatres Friday March 17. Disney bosses have pulled Beauty and the Beast from Malaysian cinemas after gay censorship plans were revealed. Ahead of the film’s release on Friday, director Bill Condon revealed that Beauty and the Beast will feature Disney’s first “exclusively gay moment”. 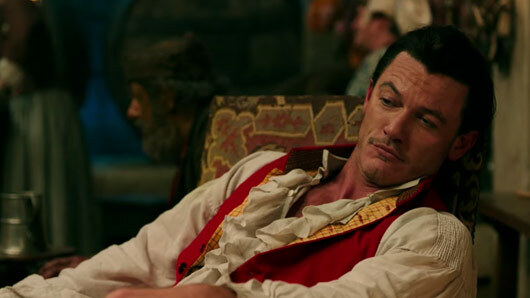 The remake features an infatuation by Josh Gad’s character Le Fou towards his best friend Gaston, who is played by Luke Evans. The censorship board in Malaysia approved the release of the new Disney adaptation on the condition that the “gay moment” in question was removed. According to The Guardian, Disney has now decided not to prevent the film’s release and an “internal review” is underway. Chairman of the Malaysian film censorship board Abdul Halim Abdul Hamid admitted he was confused by the decision, given that the board had approved its release as a PG13 certificate film as long as it was censored. Homosexuality is punishable in Malaysia and can result in up to 20 years imprisonment. Film censorship laws state that gay people must be portrayed negatively on screen, if at all, or they must be seen to apologise for their sexuality. The adaptation will contain a number of changes designed to lend characters more depth and backstory. 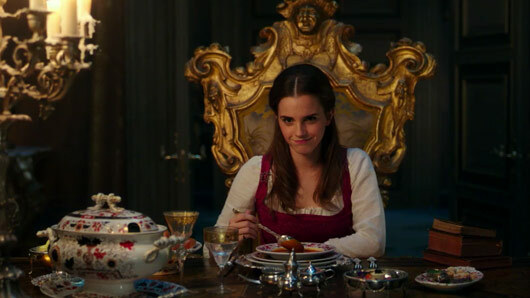 Not only will the film reference Le Fou’s sexuality, but actress Emma Watson also recently revealed how Belle will appear as the inventor, opposed to Belle’s father being the inventor in the original 1991 animation. Beauty and the Beast is released in UK cinemas March 17.